I am passionate about human musculoskeletal system and its functionality and I find it fascinating how nature is using same patterns to create supporting and moving structures through tensegrity. I am also very interested of the human brain. The magnificent computing power it has in use when moving us on uneven grounds or in sports is just amazing. In my work I can combine these two passions by teaching the brain how to be the true leader of the skeletal system and then strengthen the body into truly functioning unit. Solving the connection and strength issues which are blocking the unrestricted and free, strong movement makes my work extremely interesting. Below I have explained a bit more in detail the 3 main groups I have in my clientele, but I am also happy to work with clients who wish to increase their bodies functionality and strength and this way prevent injuries. I cannot do it for you, but I am happy to work with you. No trust no team – no team no victory. Our neuro-fascial (as musculoskeletal approach is too narrow) system is moved by the commands from our brain. When we are working with the body, we actually need to teach the brain “where” the muscles are and how to combine them so that we can reach the wished movement result. By creating forms rather than just contracting muscles we can activate and form the fascial system which is found everywhere in our body. Mindlessly just adding strength to one muscle/muscle group by isolated movements, will not change how the body works and will not make it stronger as unit. Like Buckminster Fuller has said:”behavior of whole systems unpredicted by the behavior of their parts taken separately” meaning: Individual, local strong muscles do not form a strong functional body. Integrated muscles and tissues which the brain knows how to use, forms a strong unit of function, strong functional body. Our bones are floated, held in space by the balance of force of the muscles and fascia and in a healthy body the whole neuro-fascial unit is working together. 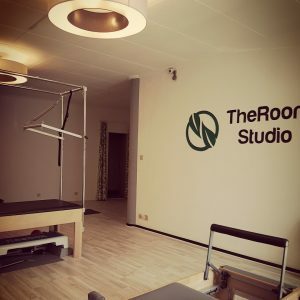 The Room Studio’s work is based on the fact that there are group of muscles which are mainly responsible of the up floating and bridging function, taking force pass the joints and tensing the connective tissue to keep us upright or in position we choose to. These stabilatory muscles should be seamlessly integrated with the moving muscle system in forming movement. When the brain fails to synchronize these two systems in movement this often results pain and/or injuries or stops you from reaching your full athletic potential. Movement is natural for the human body, we are made to move. Today’s way of working and living is not giving the body the opportunities to move enough in various environments, various planes and with various intensity. Cathryn Jakobson Ramin has written a book “Crooked: Outwitting the Back Pain Industry and Getting on the Road to Recovery” and in her interview she has said “Searching for solutions to back pain can lead sufferers into an expensive and sometimes dangerous maze of ineffectual treatments, procedures and pills”. 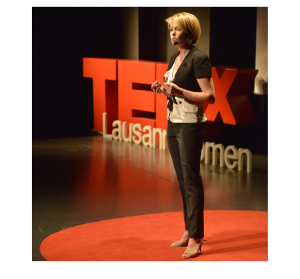 Instead of pain medication, manipulation or operation she actually recommends to find a “back whisperer”–someone who understands the musculoskeletal system and is able to help people build strength, balance their gaits and move effectively. Of course I work with wide range of pain clients, back pain just being one group. More often than not the pain clients are having issues with the stabilatory system (responsible for floating the bones up and bridging forces pass the joints) both in connection and strength. This goes with nearly all pain in the joints (back, neck, knees, hip etc.) and also connective tissue pains like IT-band pain. The main focus with these clients is to teach the brain how to activate these muscles, increase the strength of the stabilatory system muscles, create glide to the tissues and to teach the brain how to maneuver these 2 muscle systems in harmony. In the beginning the force of gravity has to be lowered and gradually the muscles are strong enough to function under the influence of the gravity. There is no gimmicks involved, just pure honest work to regain and master the full potential of your body. Sport specific training has tendency to simplify movement. The brain starts to use the most trained muscles and alters the alignment of the bones so that these muscles can be used in nearly all movements. The weaker muscles shorten to provide support for the skeletal system, for example many ice hockey players have lessened range of movement in the hip. This results in over usage and tightening of some muscles and through this to pain and injuries (lowered range of movement in hip increases the risk of adductor strain for example: Adductor strain and hip range of movement in male professional soccer players by Ibrahim A1, Murrell GA, Knapman P.). Again we come back to the same sentence ”behavior of whole systems unpredicted by the behavior of their parts taken separately”. Doing more of the same, strengthening more the muscles which are already worked on will not change the results. In professional sports we could also say “The definition of insanity is doing the same thing over and over again and expecting different results”. To change the status quo we need to teach the brain how to activate all muscles. This results in more diverse movement and the work load of selected few muscles is reduced but the force output is increased as more muscles are participating. As the movement is better supported less force is needed to move and the power output is increased this way too. Short put you could say we are adding cylinders to an engine. If the simplified movement has created pain by over working then in these muscles can start to heal as other muscles are taking over what was their part of the job in the first place. In The Room Studio we work both with brain rehabilitation (stroke) and physical rehabilitation (for example after ACL operation (Crucial ligament in knee). Complex movement patterns are really good way to “flush” the brain and force it to work again. The aim of the movement is to find or recreate lost connections to the muscles. There are no separate areas in the body, when an area needs to be strengthened, the whole body needs to be moved. This way the internal support system is restarted and the muscles start to work as a team again making the body functional and strong. This is essential especially after an operation as there is scarring and tissue damage which is blocking the connection. 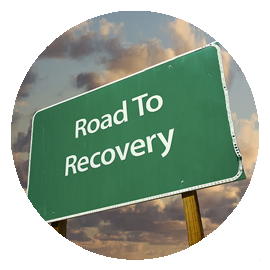 All Recovery and Rehabilitation clients are very individual cases and the earlier this movement work can start the better. On the other hand the body and brain has an amazing capacity to recover also years after the initial accident, it often just needs more time. I have had many clients coming to me 5-10 years after an operation and we have managed to make the body functional again. At The Room Studio we acknowledge the importance of nutrition in gaining a healthy and inflammation free body. Nutrigenomics is a relatively new branch of science which studies the effects of foods and food constituents on gene expression. The foods we choose to eat have a direct impact on how our cells produce energy and which genes are turned on and off. Certain foods will enable the cell to function at its best while over processed and refined foods which have lost many of their nutrients will deprive the cell of what it needs and leads to abnormal function. 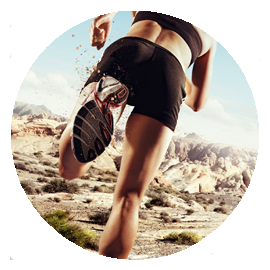 Nowdays more elite athletes suffer from psychological and gastrointestinal conditions that can be linked to the gut so targeting the microbiota therapeutically should be incorporated in athletes’ diets. The algae products from The Room Company are naturally designed to support your gut bacteria. In our busy lives to balance all areas of life can be challenging. In nourishing your body it is the everyday choices which are making the difference, the body needs to be nourished every day as it renews all the time. Luckily there are natural supplements which are helping the body to regain the healthy balance. 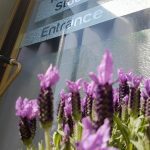 All the products at The Room Company are supporting the function of your gut bacteria which is the home of your immune system and is responsible of harvesting the nutrients from the food you eat. For example “The Duo” (found both in Anti ageing and Recovery-product range) is combining 3 algae which are naturally designed to support your gut. It IS the blueprint to reignite your energy. 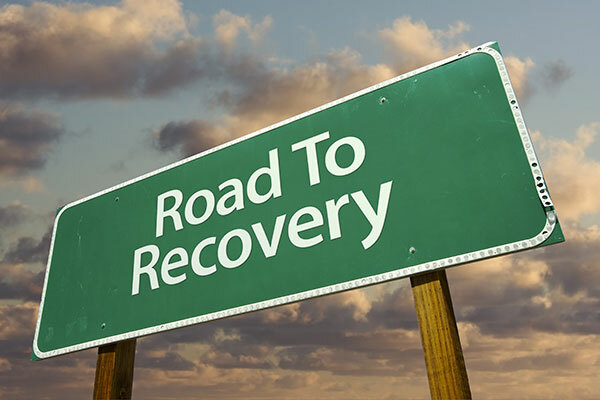 By resetting your energy levels your will reach your everyday goals, reverse the signs of ageing and speed up your recovery from sports training and injuries. You will find more information about the products through the links. Sinikka show us how having a dream to get moving again, despite everything being against you, gives you the momentum to go further in life. innovative Putkisto Method enables even chronic pain sufferers to achieve in-depth improvement of the body movement, using brain connections to reconnect with the body..